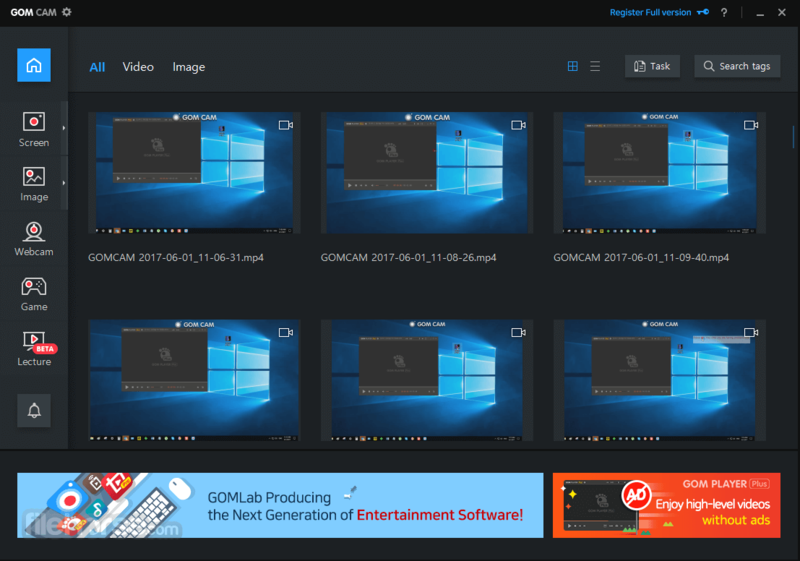 GOM Cam 64bit is the most complete recording program for PC possible to edit video at once! Screen recording, game recording is available at any time! 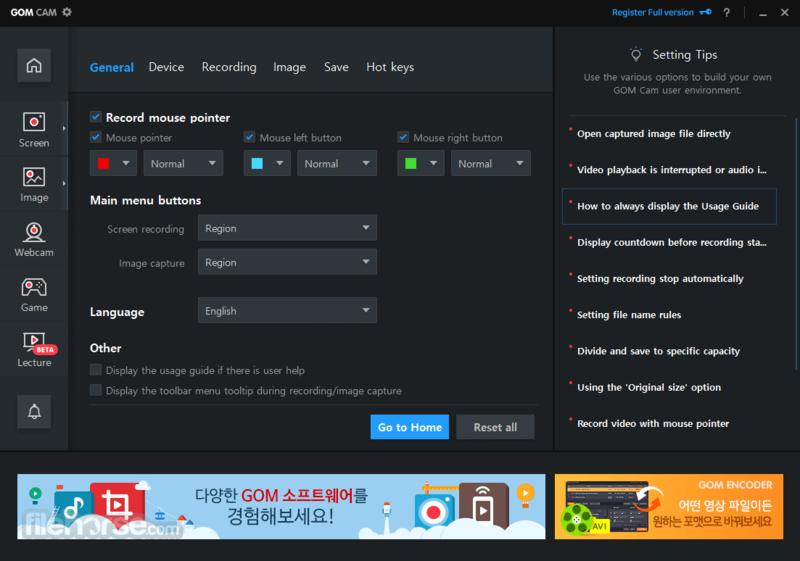 Now you can edit your video and use it all at once. Featuring even more powerful image capture, search files and audio extraction and more! GOM Cam saves you time and effort by helping you get straight to recording wonderful videos. Record what you see on your PC screen exactly as it appears. 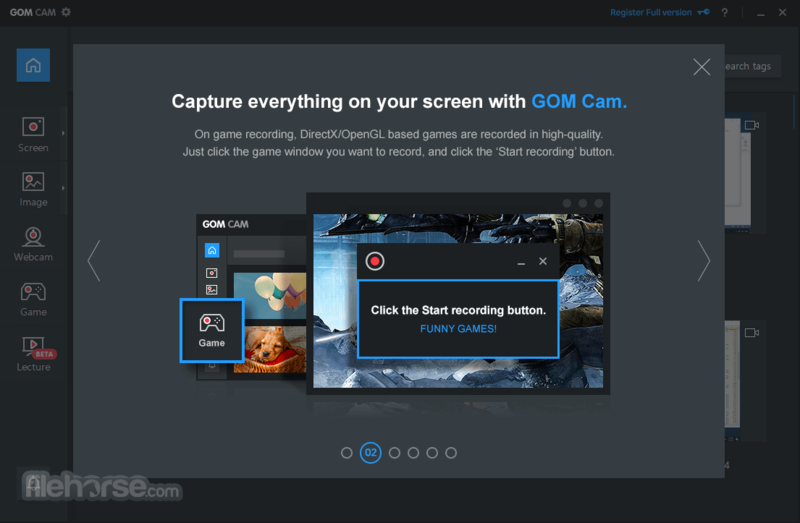 GOM Cam 64-bit also records all audio outputs from your PC, allowing you to make more dynamic videos. Record your computer screen, webcam video or games, and share with others on YouTube, Google Drive or Facebook. You can also capture images and customize your capture by drawing on the screen while recording. Everything on the PC screen is recorded in near-original image quality. Also, more vivid videos can be made using a webcam and microphone. Videos are recorded with webcams connected to the PC. Simultaneous recording of more than one webcam screens or directing in various video styles using the chroma-key function is also supported. Record on-going games in high-definition using Direct X/Open GL. Record legendary game play scenes using GOM Cam. Functions for making school or online class materials are provided in one-step. Select as many sections as you like and set a background music to bring your video to the next level. Editing features for recorded clips supported exclusively on GOM Cam 64bit! The intuitive UI allows anyone to use GOM Cam easily. GOM Cam saves you time and effort by helping you get straight to recording wonderful videos. Share your videos on YouTube or Facebook, so more of your friends can enjoy your creations. You can also upload your videos to Google Drive or attach your files to emails and documents. 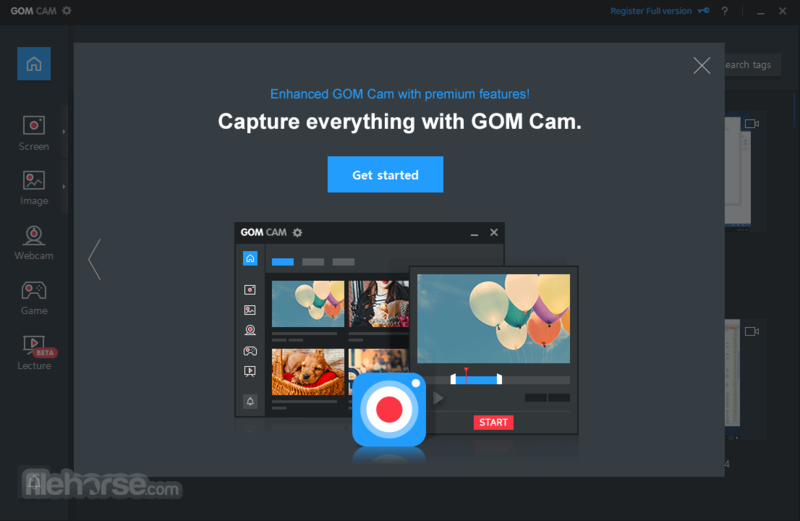 Recorded videos can be edited on GOM Cam instantly. Select as many sections as you like and set a background music to bring your video to the next level. You can set tags (keywords) for saved files on the file list. Search files easily using the set tags. 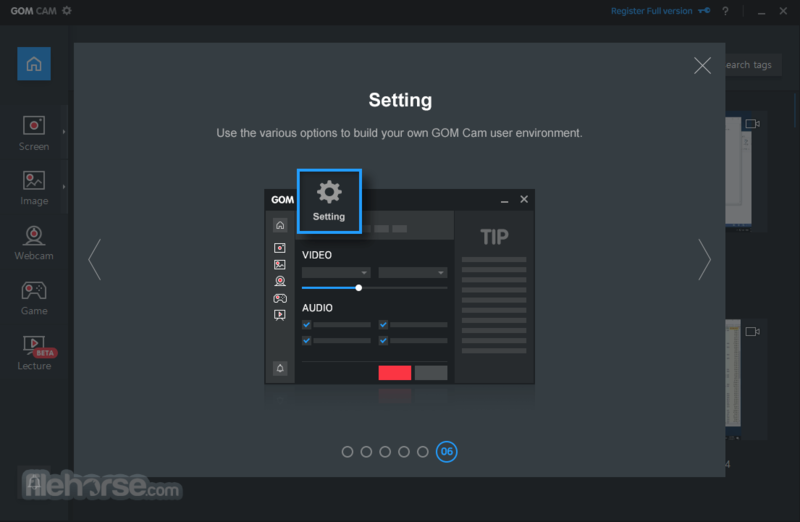 GOM Cam is a life-time long product once you purchase a license, and minor updates for the purchased version are offered for free. Continuous capture is supported for your set time and desired quantity. Make funny animated GIFs with just a few clicks. Draw underlines, figures, stamps, or arrows. Add funny effects to your videos or captured images while you are recording. Enlarge the recording screen up to 4x for clear videos and sharper details. Set a schedule for your recordings so they will start automatically, even if you are away from your computer. Add a variety of webcam shots, images, and texts to your videos while you are recording. Create more unique videos with the effects settings in GOM Cam. Extract audio from recorded clips and save it as a file. This is useful when you want to listen to background music only, or study languages. Note: The Free version limits recording time to 20 minutes and ads are included. Requires .NET Framework.